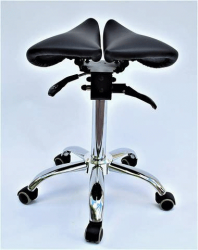 Cylinder height: SELECTStandard: 42 - 31.88"Tall: 27.36 - 37.20"
Most days you're in and out of your chair a lot, that's why this split seated saddle Stool is a unique seating solution for when you want freedom of movement at work, without being slowed down by accessories like arms or armrests. This revolutionary design that completely changes the way that you sit. 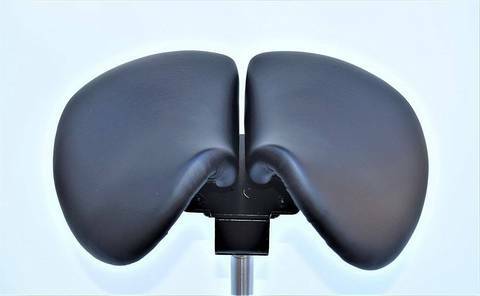 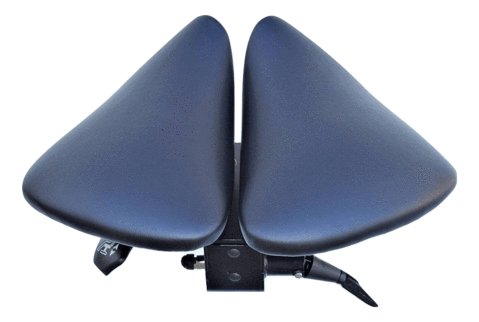 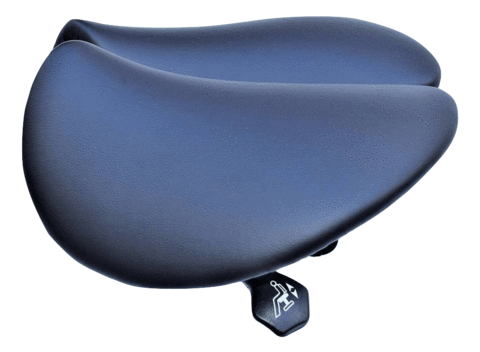 The forward angled Saddle Chair saddle seat helps keep the pelvis tilted forwards and the back in an upright position. 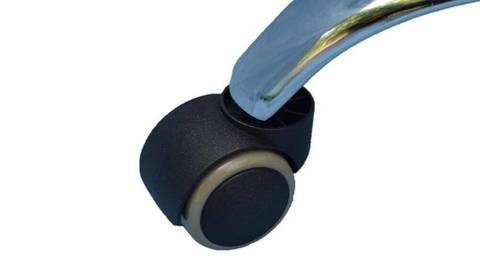 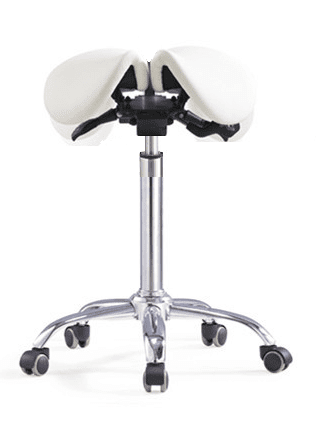 This Ergonomic Saddle Chair has a riding-like position is designed to promote better posture and to encourage active sitting - exercising the muscles around the abdomen and back. 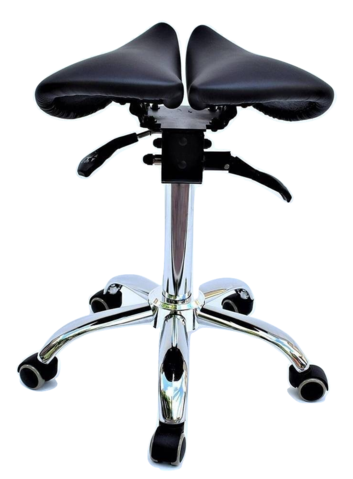 Suitable for doctors, dentists, surgeons, hairdressers, tattoo artists plus more!